What a great color challenge we had last week! I had so much fun checking out your awesome cards, thanks for the inspiration and playing along! Our challenge this week is a Masculine themed challenge. 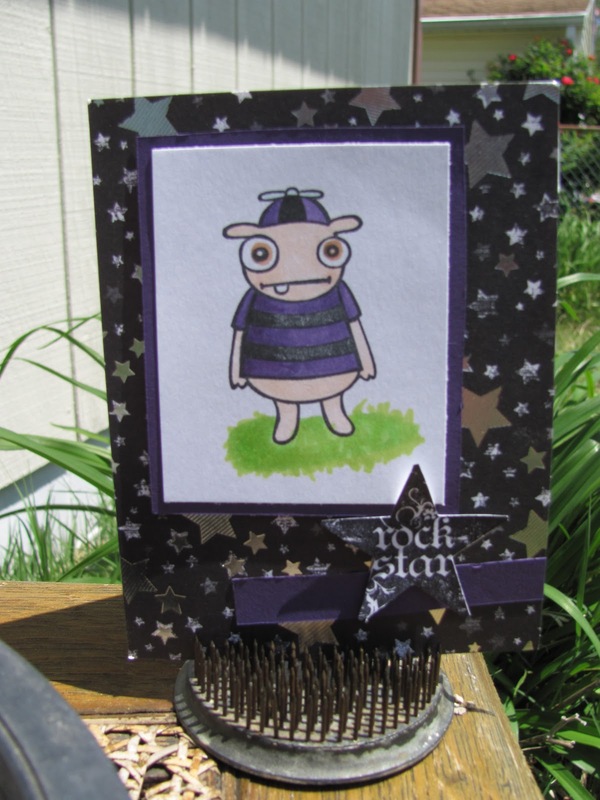 We challenge you to make cards for our heroes to send home to the men and boys in their lives. We’re looking forward to seeing your creations! Our sample cards this week was made by Dawn. 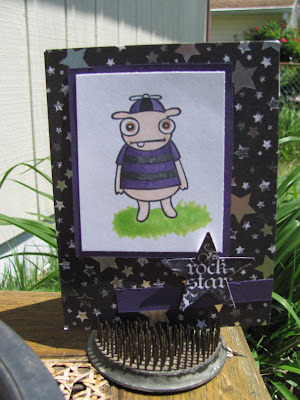 To see more of her wonderful art work please visit her blog The Chatty Stamper and leave them some love. Thank you Dawn for sharing your awesome creativity with us! To play along in this week's challenge, simply upload a project using this week's challenge to your blog or online gallery then leave a direct link to your project using the Inlinkz widget at the bottom of this post. And remember, you may use this challenge at any time. Feel free to re-post the challenge on your blog along with your card… then come back and leave a link for us so we may all see your cards! We encourage everyone to take a few moments to visit and leave comments for the other participants. Comments are a wonderful way to say thank you for sharing your creative project and inspires everyone to create. Thanks for stopping by and hope you join in the fun! To play along this week, please enter your name, URL and email address in the link below then press next step and select the photo of your creative project. An icon will appear on the blog featuring the photo you selected. If the photo doesn’t appear right away, don’t worry, it will after the page has been refreshed. Beautiful cards from everyone! I finally was able to post the card I made for the challenge! Doesn't happen often although I always make them! Thanks so much for your feedback on this blog...all of our cardmakers featured here LOVE hearing from you! Donate $10 or more to get an embroidered patch! Include it with an AnyHero card and send to any shipper, clearly marked with the word "Patch." Tuesday Tutorial - Scrappy Backgrounds!